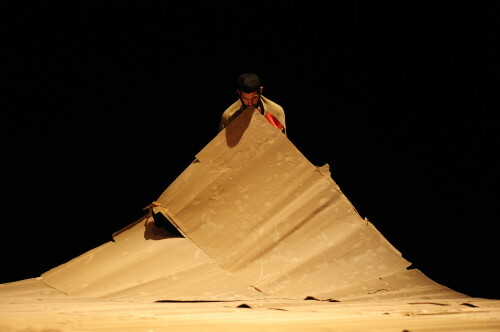 Works of Israeli choreographers generally radiate an extraordinary urgency. The same goes for the young choreographer Iris Erez. In the Homesick trio, she portrays the issue of safety, expressed solely in dance movements, both on the psychological and political levels. Surrounded by familiar and unfamiliar things, the dancers are looking for a place in their soul and their surroundings where they would feel ‘at home’. As the characters meet, their intimate and public spheres transform into a place of fight. A doubt is cast on the need and necessity of the existence of ‘the others’. The concept of home breaks into a whole range of meanings, personal, as well as political, accentuating the fragility of the place we live in.